In the humdrum town of Moormouth, Walter Mortinson’s unusual inventions cause nothing but trouble. After one of his contraptions throws the town into chaos, Walter’s mother demands he cut the nonsense and join the family mortuary business. Far off on Flaster Isle, famed inventor Horace Flasterborn plans to take Walter under his wing, just as he did Walter’s genius father decades ago. When a letter arrives by unusual means offering Walter an apprenticeship, it isn’t long before Walter decides to flee Moormouth to meet his destiny. Walter runs away in the family hearse along with Cordelia, the moody girl next door with one eye and plenty of secrets. Together they journey through a strange landscape of fish-people, giantess miners, and hypnotized honeybees in an adventure that will not only reveal the truth about Walter’s past, but direct his future. Quinn Sosna-Spear was named a California Young Playwright at seventeen and went on to study at the University of Southern California. She has since written books, films, and virtual reality projects. 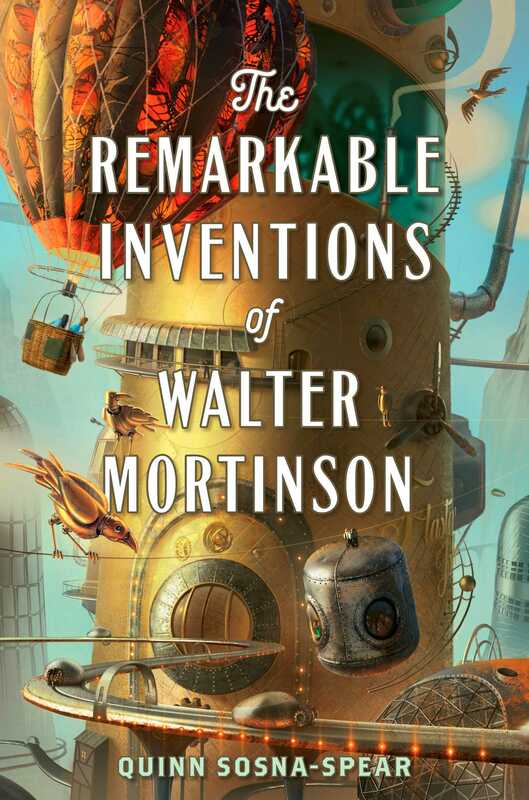 The Remarkable Inventions of Walter Mortinson, her debut novel, was inspired by the untimely death of her own mother. Quinn hopes to share with all readers—particularly those struggling with loss—the humor, poignancy, and adventure in such things…as dreary and impossible as they may seem. "This is a charming tale with a witty tone . . . the perfect read aloud for 4th-6th grade classes."